You know how when you plug headphones into your laptop's aux jack, the internal speakers are automatically muted and the sounds comes out of your headphones? I want exactly that for HDMI. I connect a monitor with built-in speakers to my laptop to watch videos, sometimes. It's very weird when the video is on the monitor (which is placed 3 m away from my desk) but the sound comes out of my laptop's internal speakers (laptop sits on the desk). Of course, I can just go to the sound settings and switch the output channel to HDMI. But then, later on, when I removed the HDMI cable hours ago and might even be in a totally different location, the sound won't play because the sound server still tries to play it via HDMI but there isn't anything connected to it. Automatically switching back to the internal speakers when no device is connected via HDMI is more important but switching to sound output via HDMI when a device is connected would still be very nice. This apparently worked with 11.10 but it doesn't work with 16.04. I had a similar problem during suspend/resume when sound would switch from HDMI TV to laptop speakers. Upon resume sound would stay on Laptop speakers and I would have to manually reset output device to TV in System Settings -> Sound. After much searching I created a script called TV-sound. Although I don't plug and unplug the TV like yourself, I did some google searches and create a variation of the script to work in your situation. I've tested it and it works. We'll create a script called hotplugtv which udev calls. This same script can be called in many places though. For example, during testing I used it in lock-screen-timer where sound reverted back to Laptop during screen lock. # DATE: Created Nov 26, 2016. #       so use /sys/class/dmcard* instead. You will need to replace the two occurrences of rick with your own user id, ie UTF-8, etc. I know this can be more professional with user name automatically set to a bash variable but I'm not that skilled yet :( Anyway, save the file and exit gedit. udev monitors hotplug events when you plug in and unplug your HDMI monitor. Type the following to create a new rule. NOTE: If the file 70-persistent-net.rules doesn't exist in your directory copy any other file there. We don't need the file contents, just the file permissions to ensure ours are the same. Now you can plug and unplug your HDMI monitor / TV and the sound switches appropriately. 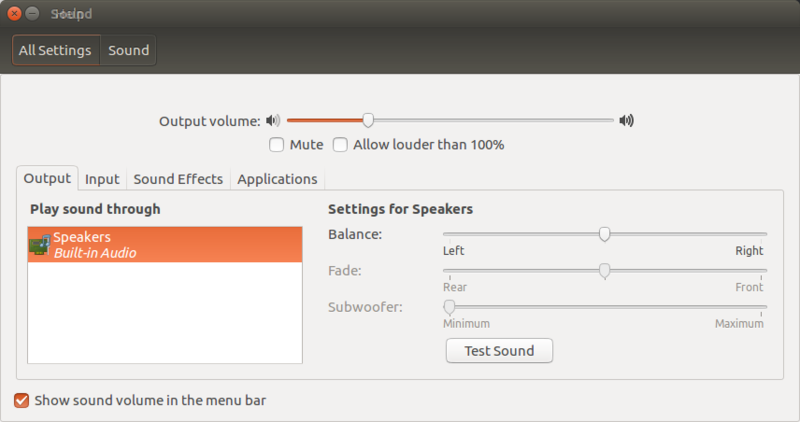 On my system the sound automatically reverts to the Laptop speakers when HDMI is unplugged. On your system it did not. 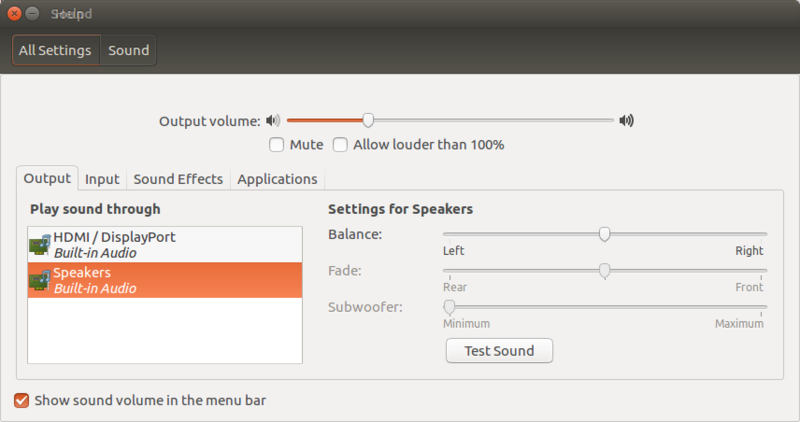 Further enhancements to the code may be required if sound doesn't go to your Laptop speakers when HDMI is unplugged. Please reply via comment below how things work / don't work out. Remember to replace rick with your user name. The initial export line probably isn't necessary but I've included it just to be safe. If you have multiple sound cards, or something other than hdmi-stereo tweaks are obviously needed to find out the correct parameters before writing your script. In the above example all card numbers are 0 with different output sources. If you have USB speakers they can have a different card number than 0. For some unknown reason the script was broken today. Above code used to read: "$(cat /sys/class/drm/card0-HDMI-A-1/status" but I had to change card0 to card1 and the code above has been revised as such. I can't explain what changed on my system other than regular Ubuntu updates since November 26, 2016. Above code needed to be switched again back to: "$(cat /sys/class/drm/card0-HDMI-A-1/status". Instead of revising code between card0 and card1 depending on boot, revise program to reference card* to capture both scenarios. Not the answer you're looking for? Browse other questions tagged 16.04 sound pulseaudio alsa hdmi or ask your own question. How can I switch from speaker to headphones automatically?